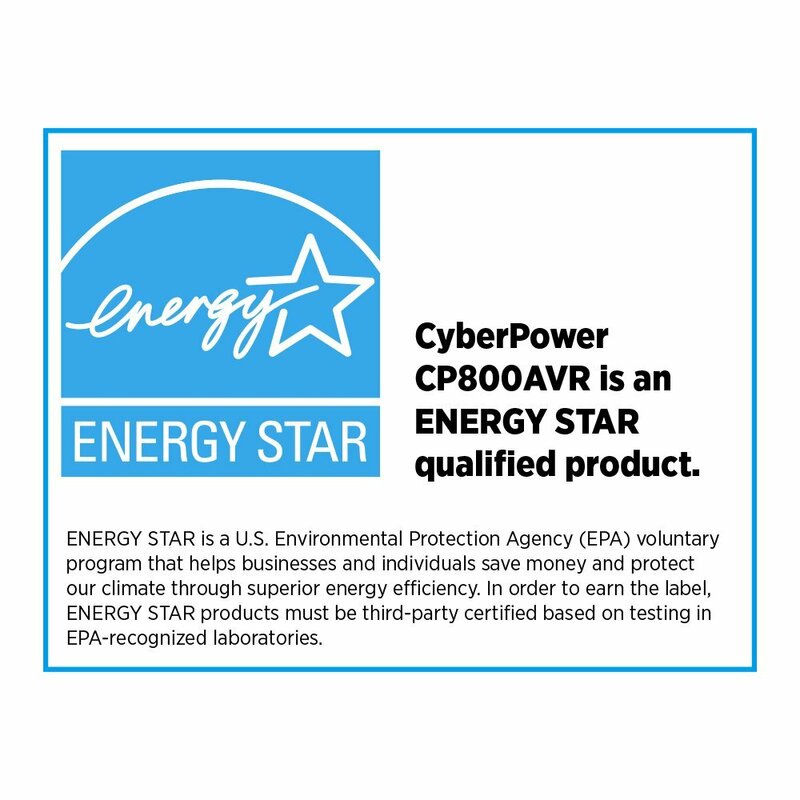 The UPS-800-AVR is a great choice to protect your Analog or IP style cameras, PoE switches and DVR and NVR from minute surges and dips in voltage that commonly occur with commercial and residential power service. This battery backup unit provides 450 watts of battery backup, but most importantly the battery is also used in the auto voltage regulation, supplementing dips in voltage (even minute ones) and bleeding off excess voltage in minor surges. With your camera systems and IP cameras, it is these minor dips and surges in voltage that will cause premature failure of your components. 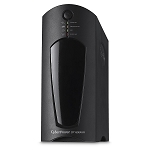 This is why a UPS system with AVR is a requirement of your system and camera warranty. 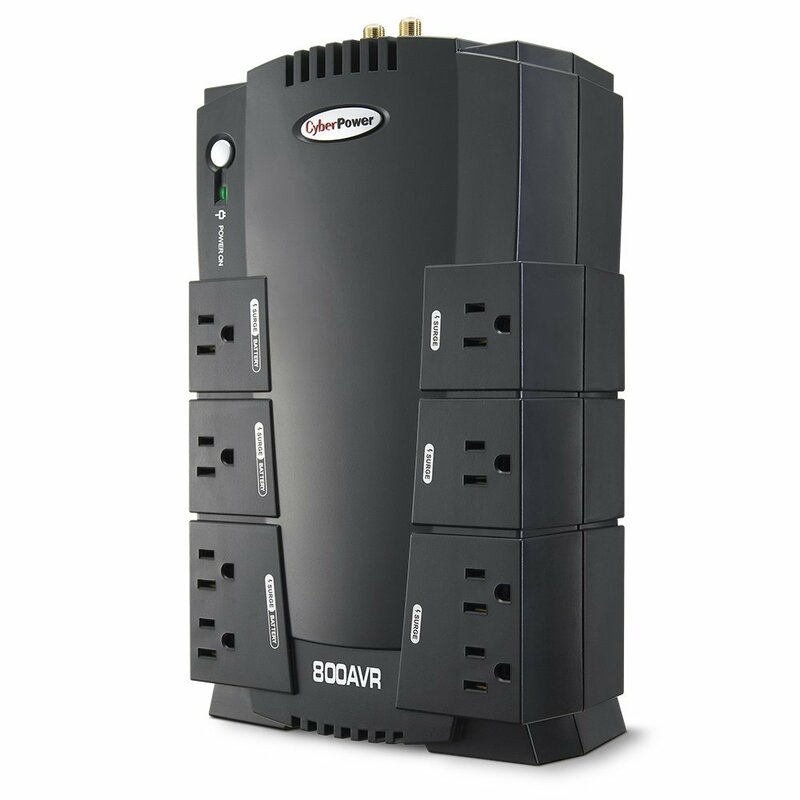 The battery backup in this AVR will also provide you with power to your DVR and cameras even if the system loses power due to a power outage. 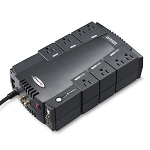 This AVM UPS supplies enough power to keep a Standalone DVR and camera power box running for approximately 45-60 minutes (dependent on number of cameras and DVR size). 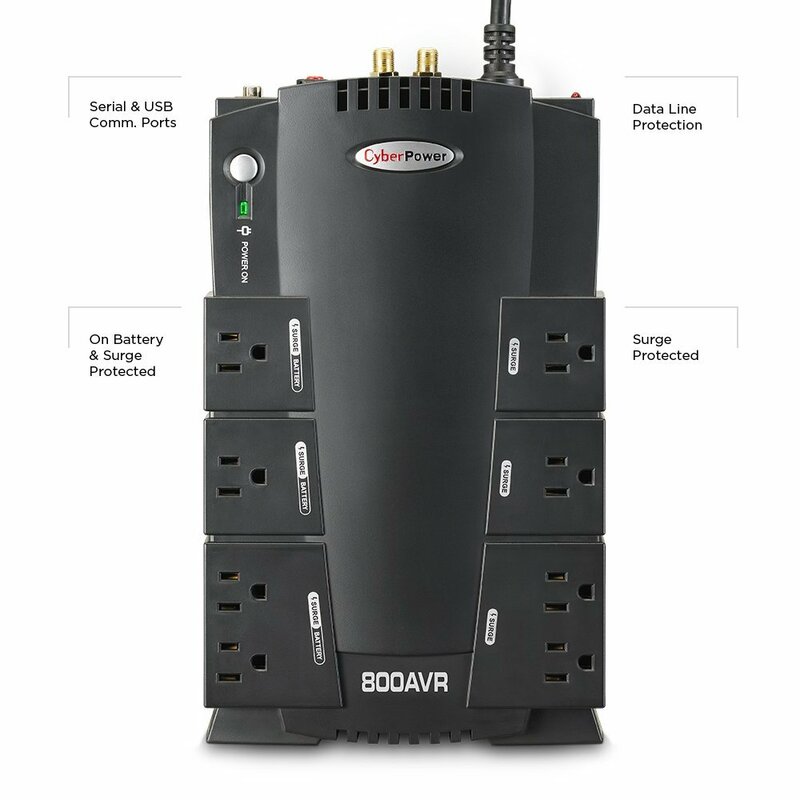 8 Outlets total - 4 with Battery (for DVR and Cameras) and 4 without (for any other accessories). The micro surges and dips in voltage are what cause great damage to cameras over time, which can result in lost night vision, burnt out LEDs and even complete camera failure. 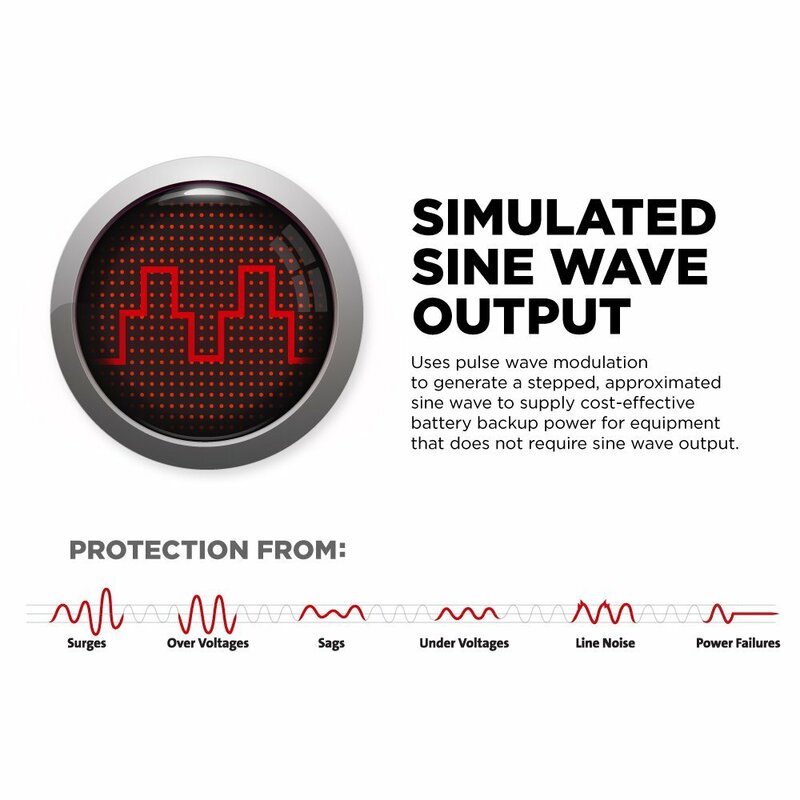 This AVR UPS protects your equipment from this premature failure with the auto voltage regulation feature.